When George Washington Vanderbilt began planning and building his home, which today is still the largest private residence ever built in America, he was a 28-year-old bachelor. It took six years to complete this 175,000-square-foot French Renaissance chateau with 250 rooms, 35 bedrooms, 43 bathrooms, 66 servants’ bedrooms, 65 fireplaces and many more features under roof. When it officially opened 120 years ago on Christmas Eve 1895, Vanderbilt was 35. At a time in history when most homes did not have indoor plumbing and electricity was a novelty, Vanderbilt’s house in Asheville, N.C., was considered one of the most technologically advanced structures ever built. It is still admired today for its beauty and innovative engineering. The house was fully electrified, and used some of Thomas Edison’s first light bulbs. There was a fire-alarm system, an electrical call-box system for servants, two elevators, elaborate indoor plumbing for all 35 bedrooms, that new novelty called a telephone, walk-in refrigerators, under-cabinet chilling systems in the kitchen to hold prepared food, a 70,000-gallon indoor swimming pool, a two-lane bowling alley and many more innovative features. The true cost of building the estate seems to be lost in the mists of time. No one I questioned could even venture a guess. There were so many additions and changes to the original plans that a dollar figure wasn’t available. Today this would be called a “time and material job.” An old saying about yacht ownership is that, “If you have to ask how much it costs, you probably cannot afford it.” This would apply to an undertaking like the Biltmore Estate. 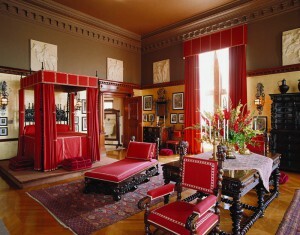 Three years after completion of the main building, George Vanderbilt married Edith Stuyvesant Dresser. After a prolonged European honeymoon, Vanderbilt brought his bride to her new home. She had never seen it until, after a slow ride over the three-mile approach road from the main gate, the final bend in the road was negotiated, and there it was. The estate’s landscaping was designed so that the house was hidden from view to anyone entering from the main gate. It can be seen only after rounding the final bend on the approach road. I first became aware of the Biltmore Estate when watching the wonderful 1979 award-winning movie Being There, with Peter Sellers and Shirley MacLaine. Much of this highly recommended picture was filmed at the Biltmore Estate, both in the house and on the grounds. Originally comprising 125,000 acres or 228 square miles, the Biltmore Estate today is a “manageable” 8,000 acres of forests, streams, lakes, buildings and gardens. Designed by Frederick Law Olmsted, known as the dean of American landscape design, Biltmore’s formal garden is considered to be one of America’s finest. It was one of Olmsted’s many grand projects, which included New York’s Central Park. At 125,000 acres, the Biltmore Estate was to be his last and greatest accomplishment. Visiting here is a four-season experience. Approximately 5,000 acres of gardens and woodlands are maintained. Eighty or so varieties of roses and 50,000 tulips and many other types of plantings delight visitors at different times of the year. When in bloom, rhododendrons show bursts of color among the green of the woods. Because there is so much to see and do on the property, confusion can be the order of the day for first-time visitors who wonder how best to see and experience everything in the time available. The admission fee gives visitors access to the House, Gardens and Grounds, Antler Hill Village and Winery, optional outdoor adventures and much more. There are numerous choices, both in the House and throughout the 8,000 acres. 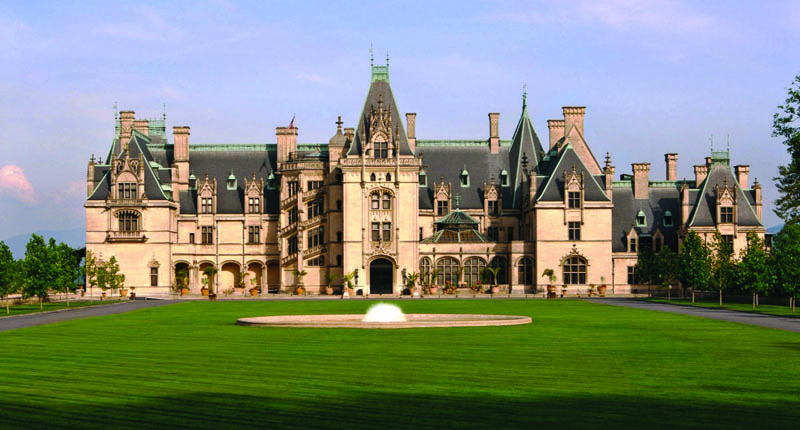 The Biltmore Estate opens to visitors at 9 a.m. The House is least crowded then, and again around noon when people break for lunch, and also in early afternoon when many visitors have gone on to visit other parts of the estate. I highly recommend taking advantage of the optional audio tour as you wander through the House. The one-hour Butler’s Tour took us up and down back staircases, and through kitchens, prep rooms, the staff dining room and staff bedrooms. 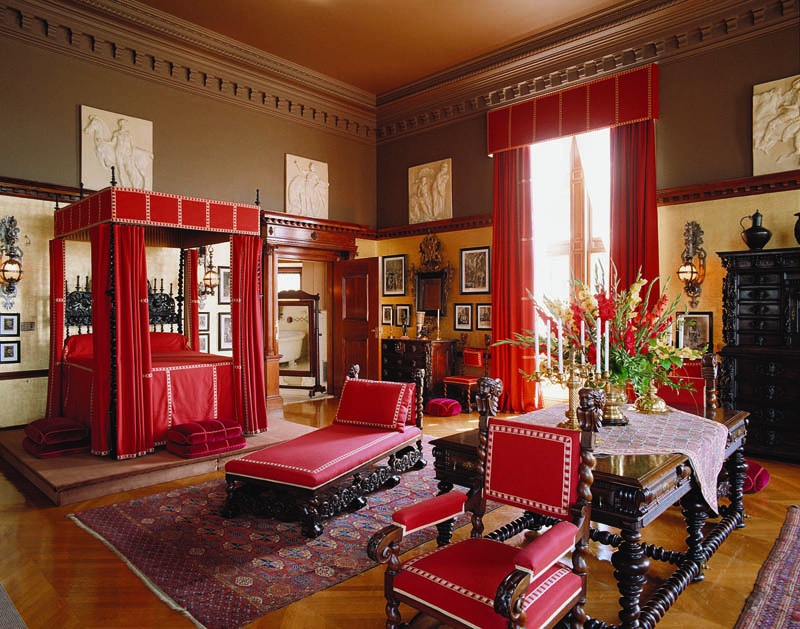 We learned that in the grand mansions during this country’s Golden Age (1880s – early 1900s), it was the head housekeeper, not the head butler, who ruled the roost. Check the brochures to see which tour(s) would be of interest to you. The available active outdoor activities would include river trips, fly fishing, equestrian center, trail rides, hiking, archery, sporting clays, Segway tours, Range Rover off-road driving, bicycle riding on 22 miles of trails, and much more. For those interested in less strenuous outdoor activities, there is the new Antler Hill Village. Opened in 2010, the Village is the center for information about Vanderbilt family history, and features live entertainment, dining and shopping. There are coffee, ice cream, pastry and sandwich shops, and restaurants. 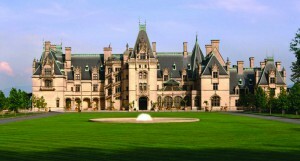 It is also the location of the famous Biltmore Winery. George and Edith Vanderbilt had one child, Cornelia, born in 1900. The Vanderbilts were married for only 16 years when George died from complications of surgery in 1914. He was 52 years old. Edith remained at Biltmore House and ran the estate. In 1930, during the Great Depression, the Biltmore Estate was opened to the public for the first time. It was hoped this would increase tourism in the Asheville area and that visitor admissions would help defray costs of running the estate. Both things came to pass. Today, more than a million visitors pass through the Biltmore Estate gates every year. 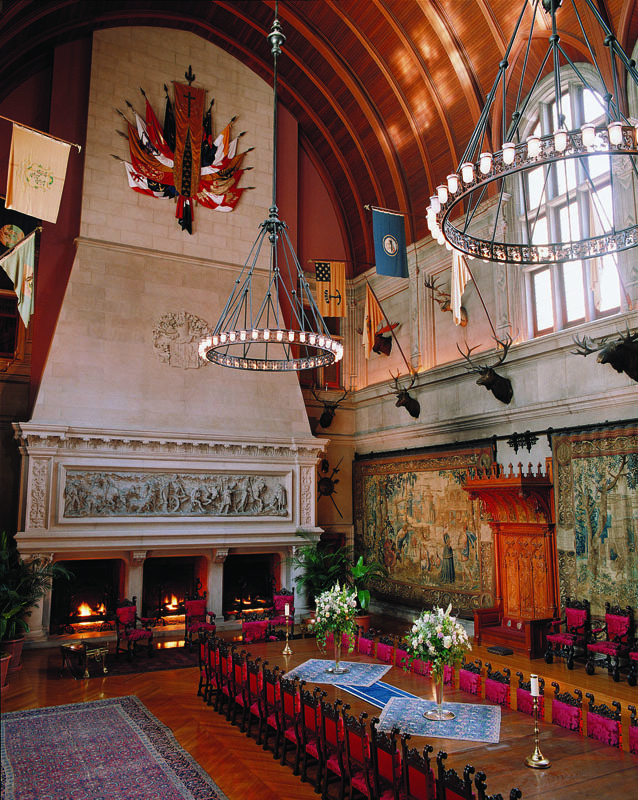 The Biltmore Estate is privately owned and supported entirely by admission fees. There is neither government funding nor grants. A question frequently asked is: Why is the property called Biltmore? The Vanderbilt family originally came from Holland. George Vanderbilt called his estate Biltmore, from “Bildt,” the Dutch town where his ancestors originated, and “more” an Old English word for open, rolling land. 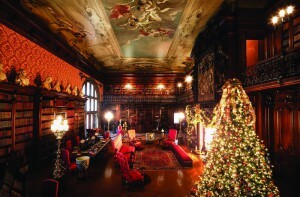 If you have only one day to spend at the Biltmore Estate, do your homework. 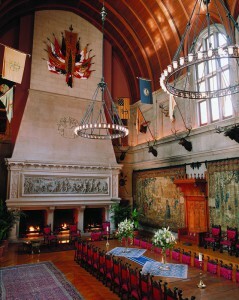 Go to their website (www.biltmore.com) and check out what you want to do there. 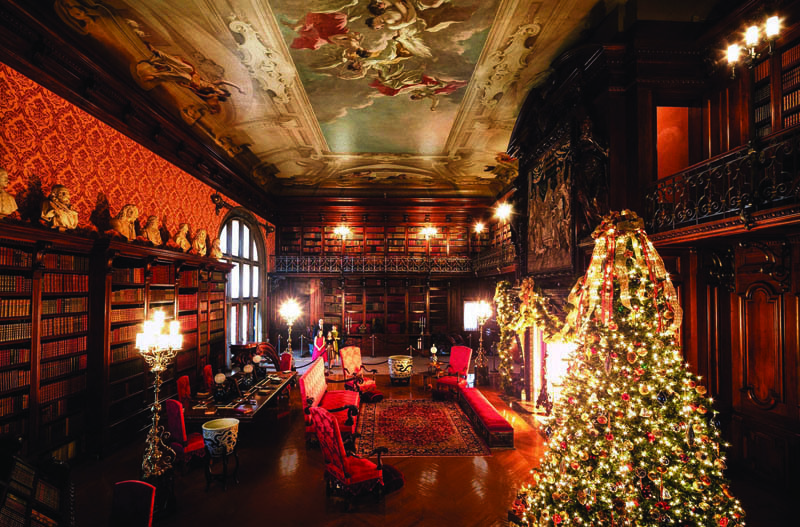 The Biltmore House itself will, of course, be first on the list, but then go to the other venues and make a list, in order of interest, of the other things you would like to experience. If you can’t do everything during a one-day visit, you might want to plan on coming back during another season and continue the tour. We plan on doing so when the gardens are in bloom.